Izear Luster Turner, known forever as Ike, was born in 1931 in Clarksdale, Mississippi. Following his pursuit of musical interests he journeyed up the river to West Memphis, Arkansas, to play his trade in a number of blues clubs across the river from the big city of the Mid-South. 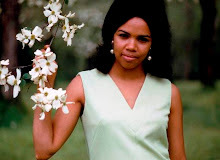 Turner as a teenager was proficient on both the piano and guitar and entered the R & B scene of greater Memphis. Hanging out on Beale Street and other Black environs of the area, young Ike came in contact with Riley "B.B." King who was developing into a top talent both on record and with a local radio show. He connected Turner with the man who ran the Memphis Recording Service on Union Avenue, Sam Phillips. Turner strove to come up with an original song to record for Phillips and his fledgling label Sun Records. In the early summer of 1951, Ike and his combo known as The Kings Of Rhythm were ready with an original song called "Rocket 88". The tune, a boogie rock number, was sung by sax player Jackie Brenston with some hard charging sax breaks. The tune was seen to have huge potential and was leased to Chess Records in Chicago which soon released the tune on # 1458 as by Jackie Brenston & His Delta Cats. The flip side was "Come Back To Where You Belong". There has never been a satisfactory explanation for the misnaming of the artists on this important recording. The very next release by Chess on # 1459 was "I'm Lonesome Baby" and "Heartbroken And Worried" and listed as by Ike Turner & The Kings Of Rhythm. 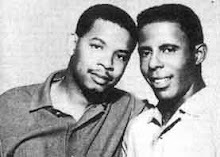 Chess then released a followup to "Rocket 88" which was called "My Real Gone Rocket" and a flip side called "Tuckered Out" on # 1469 which again was misnamed as by Jackie Brenston & His Delta Cats. A subsequent Chess recording on # 1472 was "Juiced" and the flip by Ike on piano called "Independent Woman". Ike also appeared on a Howlin Wolf record for Chess on "How Many More Years" on # 1479. In July of 1951 Modern Records in Los Angeles announces the signing of Jackie Brenston and Ike Turner. 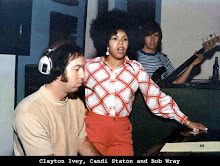 The first appearance on Modern is on piano behind Robert Bland (Bobby "Blue") on Modern # 848 on the songs "Dry Up Baby" and "Crying All Night Long". Late in 1951 Ike is on piano again for a series of recordings by Howlin Wolf recorded for Modern subsidiary RPM Records. The sides are "Riding In The Moonlight" on RPM # 333, "Passing By Blues" / "Crying At Daybreak" on # 340, and "My Baby Stole Off" / "I Want Your Picture" on # 347. There was one last record in 1951 for Chess as by Ike Turner & His Kings Of Rhythm. This was "Heartbroken And Worried" and "I'm Lonesome Baby" on # 1496. In 1952, Meteor Records of Memphis, also a subsidiary label of Modern issues # 5006 as by Sonny Blair - "Please Send My baby Back Home" and "Gonna Let You Go". Ike Turner plays piano on "Please" and guitar on the flip side. The vocalist on the record is reportedly Baby Face Turner, not Blair who plays harp on the songs. In May Ike Turner records "Trouble And Heartaches" and "You're Driving Me Insane" on RPM # 356 as by Ike with the Ben Burton Orchestra from Monroe, Louisiana. 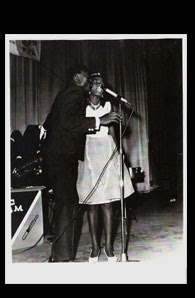 In August of 1952 Bonnie & Ike Turner recorded "Looking For My Baby" and "My Heart Belongs To You" on RPM # 362. In October Ike Turner is named a talent representative for Modern Records in the South based in his hometown of Clarksdale, Mississippi. Ike played piano on Houston Boines "Superintendent Blues" / "Monkey Motion" on RPM # 364 and "Good Morning Baby" / "My Sweet Woman" with Drifting Slim on # 370. Also in 1952 Turner records for the new Modern short lived offshoot label called Blues & Rhythm Records. There is "Going Home" / "Relations Blues" by Houston Boines on # 7001, "If You Feel Froggish" / "Whole Heap Of Woman" by Brother Bell on # 7002, and "Rabbit Blues" / "No Riding Blues" by Charley Booker on # 7003. In 1952 Turner was a permanent part of the Modern/RPM studio session band. On piano for "Bad Women Bad Whiskey" / "You're My Angel" by Little Jr. Parker on Modern # 864, on guitar and piano for Bobby "Blue" Bland's "Good Lovin" / "Drifting From Town To Town" on # 868, Ben Burton's "Bee Hive Boogie" and "Blues And Jam" on # 871, Charley Booker's "Moonrise Blues" / "Charley's Boogie Woogie" on # 878, "Everybody's Talking" and "Love Is A Gamble" by Mary Sue on # 880, guitar with Baby Face Turner's "Blue Serenade" and "Gonna Let You Go" on # 882, and finally with B.B. King on "Story From My Heart And Soul" and "Boogie Woogie Woman" on Modern # 374. It was quite a year for Ike Turner as he became a top presence in the field of R & B recording. Ike Turner began the year of 1953 as session piano player with Ben Burton on the songs "Lover's Blues" and "Cherokee Boogie" on Modern # 894. 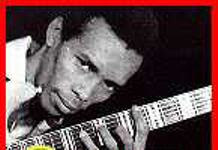 He joins Elmore James & The Broomdusters on Flair # 1022 for "Please Find My Baby", and a record released by Rockin Records part of the King Records company in Cincinnati under the name "Royal Brent" which is reported to be a possible Ike Turner recording on the tunes "Sugar Bun" and "Danny Boy". Ike ends up the year 1953 with two recordings back in Memphis for the Sun Records label - "A Prisoner's Prayer" by The Prisonaires on Sun # 191, and "Beggin My Baby" and "Somebody Told Me" by Little Milton on # 194. In 1954 Ike Turner does some further session work on piano for Sun Records. "No Teasing Around" and "If Loving Is Believing" on # 195 by Billy "The Kid" Emerson, "Alone And Blue" / "If You Love Me Baby" on # 200 by Little Milton. Ike switches to guitar for "I'm Not Going Home" / "The Woodchuck" by Emerson on # 203, and "The Snuggle" and "Bourbon Street Jump" by Raymond Hill on Sun # 204. Once again part of the group Elmore James & His Broomdusters with a release on Flair # 1031 - "Hand In hand" and "My Dreams Come True", followed by two releases on Checker Records out of Chicago. "Stay At Home" / "Sinner's Dream" with Eugene Fox on # 792 and "Nobody Seems To Want Me" and "Nothing But Money" with Jesse Knight & His Combo on # 797. Back on the West Coast, the very busy Ike Turner records for RPM under the name "Lover Boy" with "The Way You Used To Treat Me" and "Love Is Scarce" on # 409. The next release for RPM on # 410 is by Lonnie "The Cat" with the Bobby Hines band including Ike on piano with "The Road I Travel" and "I Ain't Drunk". "The Dream parts 1 and 2" by "The Fox" on RPM #420 is by Eugene Fox and Ike Turner. 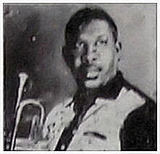 Johnny Wright with the Ike Turner Orchestra records "I Was In St. Louis" and "I Stayed Down" on DeLuxe # 6029. By summer Clayton Love joins Modern Records and records "Why Don't You Believe Me" and "Wicked Little Baby" with Ike on piano on # 929. 1955 was the year that rock 'n roll began to take over the music scene in the United States. Ike Turner was still a main session pianist and guitarist for many various R & B record labels and backing many different artists plus a recording of his own every now and then. He began the year with a return to Sun records behind Little Milton with "Looking For My Baby" and "Homesick For My Baby" on Sun # 220. After that it was back to the West Coast and the Bihari Brothers labels - Modern, RPM, and Flair. Ike got a chance to record under his own name with "Cuban Getaway" and "Go To It" on Flair # 1059. 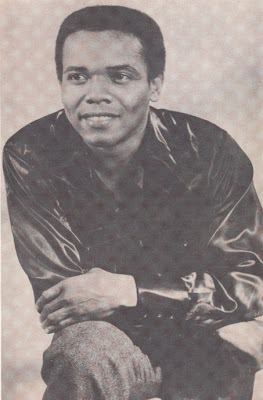 He then backed up vocalist Johnny Wright late in the year on "Suffocate" and "The World Is Yours" on RPM # 443. 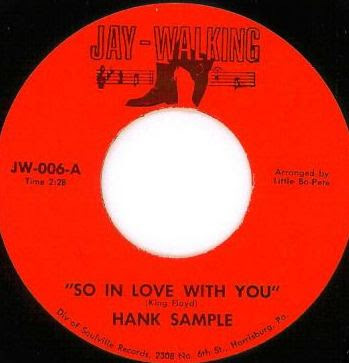 On # 446 his band backed up the vocal group The Trojans on "As Long As I Have You" and "I Wanna Make Love To You" on # 446. Ike ends the year with a Richard Berry record of "Big John" and "Rockin Man" on # 448. In March of 1956 Vita Records announces the signing of the Ike Turner band with Willie King on vocals. Soon after that Vita releases # 123 with "Mistreating Me" and "Peg Leg Woman" featuring Billy Gales. However a month later the band records a number of sides for the Federal label in Cincinnati. Federal # 12265 is released featuring Billy Gayles with Ike Turner's Rhythm Rockers on "I'm Tore Up" and "If I Had Never Known You". Federal # 12267 features a vocal group called The Rockers with Ike Turner record "What Am I To Do" and "I'll Die In Love With You". Billy Gayles returns with "Take Your Fine Frame Home" and "Let's Call It A Day" on # 12272, and The Rockers try again with "Why Don't You Believe" and "Down In The Bottom" on # 12273. In November Billy Gayles records with the renamed Ike Turner and his Kings Of Rhythm with "Do Right Baby" and "No Coming Back" on # 12282. The next record is also a throwback as Jackie Brenston records with Ike for the first time in five years. This time the label names Ike and his Kings Of Rhythm on the songs "What Can It Be" and "Gonna Wait For My Chance" on # 12283. One last appearance on record for Ike Turner in 1956 is backing the vocal group The Gardenias on "Flaming Love" and "My Baby's Tops" on # 12284. Ike Turner moves into 1957 continuing to record for Federal Records. Billy Gayles records "Just One More Time" and "Sad As A Man Can Be" on # 12287, and Jackie Brenston with "Much Later" / "The Mistreater" on # 12291, both with Ike's Kings Of Rhythm. 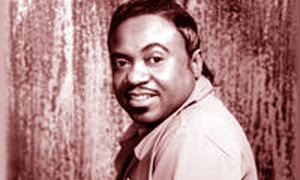 Next in 1957 came a series of Federal recordings featuring the vocals of Clayton Love - "You made It" / "She Makes My Blood Run Cold" on # 12297, "Rock A Bucket" on # 12304, and "You've Changed My Love" on # 12307. All three recordings with Clayton Love sell in good numbers for Federal. 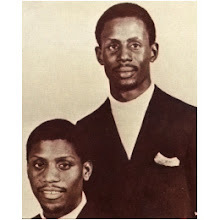 In early 1958 Ike Turner records a one time side for the Tune Town label (# 501) a St. Louis based company of the songs "Boxtop" and "Chalypso Love Cry" which features backing vocals by Annie Mae Bullock (the future Tina). 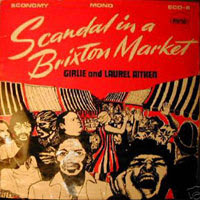 Turner then records one side for an affiliated label of Tune Town, Joyce Records (different from the New York label of the same name). Ken Churchill & The Lyrics with Ike Turner's Orchestra record "Fate Of Rock & Roll" and "Would You Rather" on Joyce # 304. For the rest of 1958 Ike goes to Chicago for a number of recordings for the Cobra Records. 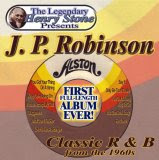 He is in the session band along with Willie Dixon on bass and Odie Payne on drums among others. "Double Trouble" and "Keep On Loving Me Baby" by Otis Rush on Cobra # 5030, "I'll Weep No More" and "Tell Me Darling" by Betty Everett on # 5031, and "All Your Love" and "My Baby Is A Good'Un" on # 5032. The next release for Cobra was under Ike's own name with the Kings Of Rhythm with "Box Top" with vocal by Tommy Hodge and Carson Oliver, and "Walking Down The Aisle" with Billy Gayles on vocal for Cobra # 5033. Continuing in 1959 Ike recorded for the Artistic label which was an offshoot of the Chicago based Cobra label. "You Sure Can't Do" / "This Is The End" by Buddy Guy on Artistic # 1503. Following was Ike Turner's Kings Of Rhythm with Tommy Hodge on vocal with "Down And Out" and "You Don't Love Me" on # 1504. Now Ike moved to the Stevens label which was a St. Louis record company in the late nineteen fifties. Stevens # 104 was by Icky Renrut (Ike Turner) with Jimmy Thomas on vocal with "Jack Rabbit" and "In Your Eyes", followed by Little Cooper & The Drifters with Ike on guitar on "Moving Slow" and "Evening Train" on # 105, and another Icky Renrut record with Jimmy Thomas on vocal with "Ho Ho" and "Hey Hey" on # 107. Finally in 1959 Turner moved to Sue Records in New York with "My Love" and "That's All I Need" with vocals by Tommy Hodge on Sue # 722. With that label came the pairing of Ike & Tina Turner and a number of soul classics and the rest of the Ike Turner story. Some of the available CDs that feature the music of Ike Turner during this period are listed here. Be aware of duplication of tracks on these CDs because they cover much of the same areas of Turner's career. "The Sun Sessions" on Varese from 2001 with 20 tracks many featuring Billy "The Kid" Emerson on vocals. Also Tommy Hodge and Bonnie Turner. 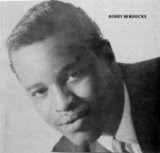 "Rhythm Rockin Blues" on Ace (UK) with the original "Rocket 88" and a host of sides cut for Modern in 1954-56 with Billy Gayles and "Lover Boy". "I Like Ike" on Rhino from '94 featuring early Sun and Modern sides. "Blues Kingpins : Ike Turner" on Capitol with 18 tracks with Clayton Love, Dennis Binder, and Bonnie Turner. "Kings Of Rhythm" on See For Miles from '99 with 22 tracks. and the self explanatory "Ike Turner : 1958-1959" on Paula from '93 with the Chess band with Willie Dixon and Odie Payne. Ike Turner was a true R & B original. Listen to the famous whammy bar and distortion fed guitar licks years ahead of their time. Check out the solid boogie woogie piano also played by Ike. Listen to the intro to "Rocket 88" and then "Good Golly Miss Molly" by Little Richard six years later. Sound familiar ? ? Get those tracks from Sun in the early fifties and as you listen you can truly say - "Rock & Roll starts here !" This has been my favorite Christmas song from the first time I heard it. To me it's a totally different song then the original. The Keystoners where originally formed in the late 40's and recorded from the mid 50's until 1961. They recorded on Epic, G&M and Riff. After their brake up they started singing again in 1983. Todays songs is on the Clifton CD 3004 (Christmas In Harmony). 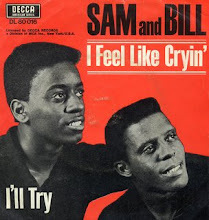 It's a nice soulish doowop ballad. 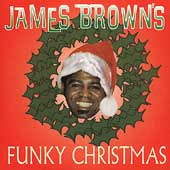 James Brown talking and screaming about Christmas, like only he could. This CD is a must have, if you ever doubted if James Brown could really sing and only screamed, get it!!!!!!!! Desmond Dekker (Desmond Adolphus Dacres) is a well known reggae performer and song writer. He also had some beautiful ballads. 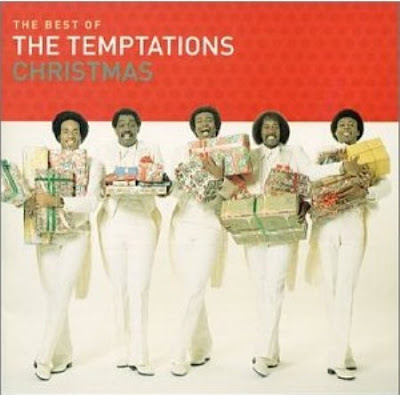 Like this deep Christmas ballad, done in a very low pace. 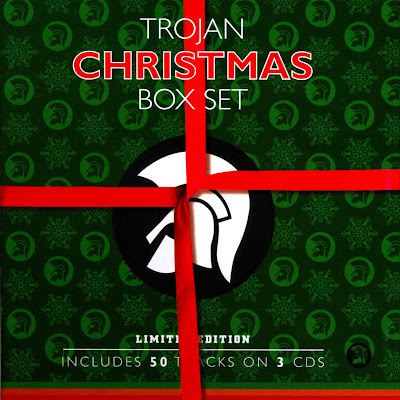 This song is part of a 3cd Box from the Trojan Label. 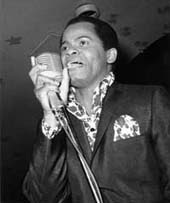 In 1962 Desmond was first rejected by Studio One (Coxsone Dodd) and Treasure Isle (Duke Reid) both did not see much in the singer. But over at Beverley's Records he was signed, but he had to wait until the next year 1963 before he recorded his first song called "Honour Your Father and Mother". 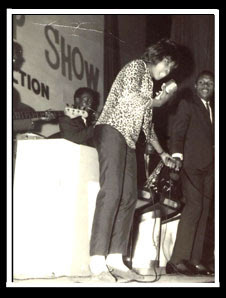 Dekker recruited four brothers, Carl, Patrick, Clive and Barry who became his backing band, The Four Aces, this was somewhere around 1965 possible after his fourth recording. 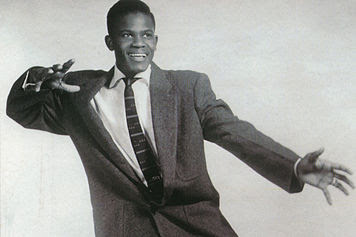 When more members joined the band the name became "The Aces"
In the end of this song Desmond Dekker sends Christmas wishes to all listening on behave of himself and Beverley's Records.